The Editor Formerly Known as Mr. Deathrealm. Author of BLUE DEVIL ISLAND, THE NIGHTMARE FRONTIER, THE LEBO COVEN, DARK SHADOWS: DREAMS OF THE DARK (with Elizabeth Massie), BALAK, YOUNG BLOOD (with Mat & Myron Smith), et. al. Feed at your own risk. A nice way to end the year. Robert M. Price, editor of From Secret Asia's Blackest Heart, has accepted my recently completed short story, "The War Lords of Leng," for the anthology. Happy day. The book is scheduled to come out in 2011 from Mythos Books. My first novel, Balak, has been set free to run amok once more, in the form of an e-book release (Kindle and Nook formats), as well as an audio book release from Crossroad Press (forthcoming in the next few months, read by Erik Synnestvedt). I originally wrote the novel in the early 1990s and then overhauled it in the late 1990s; in 2000, it was published by Wildside Press, some months after the release of Dark Shadows: Dreams of the Dark (HarperCollins, 1999), which I co-wrote with Elizabeth Massie. Thus, my first novel was actually my second published novel. Balak may be considered a Cthulhu mythos story; it draws its inspiration from Lovecraft's mythos, to be sure, though it features few of its overt trappings. Primarily, it's a police procedural novel with an undercurrent of dark fantasy, set in Chicago in the early 90s; in fact, many of the locations in the book are actual places in and around the neighborhood where I lived during the 1980s, fictionalized... perhaps... to incriminate the not-so-innocent. Unlike so much Lovecraftian fiction, in which the cosmic scope of the story so frequently overshadows the characters, Balak is a distinctly character-driven story; the cosmic events, such as they are, tend to be glimpsed in bits and pieces by the various characters involved. Of course, the original trade paperback edition is still available, nicely packaged by Wildside Press. 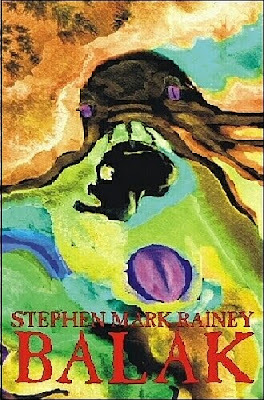 You can get more info, including an excerpt and numerous reviews of the novel, at my Web site: Balak at The Realm of Stephen Mark Rainey. From that page, you can also order autographed copies of the book directly from me, via Paypal. Confession is good for the soul, so they say, and maybe today a good unloading is in order. 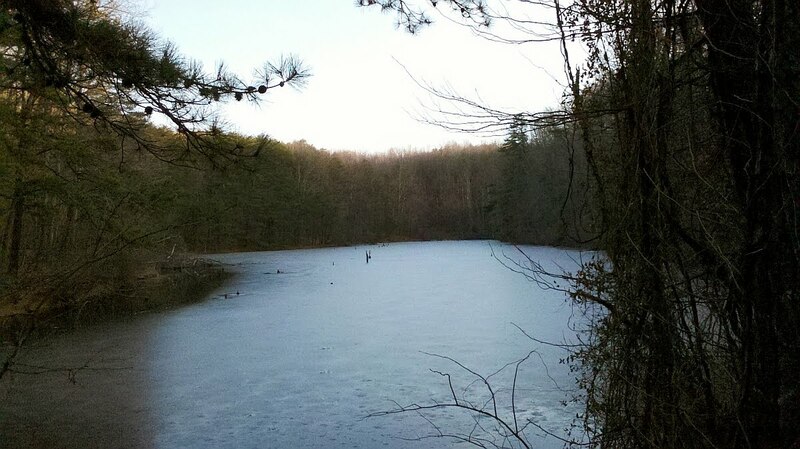 Back behind Martinsville High School, my old alma mater, there's a fairly extensive woodland area, and in the middle of it, a medium-size pond, which I've always called Black Tooth Pond. Now, that's not its actual name, if it even has one; I coined it because, at the pond's southernmost end, a large number of broken, blackened tree trunks once protruded from the water — probably the result of a fire from many years ago. If you've read certain of my short stories, you might recall I used this exact setting, and the name Black Tooth Pond for the first time, in "The Weird Violet," which appears in my short-fiction collection, Fugue Devil & Other Weird Horrors (Macabre, Inc., 1994). From the get-go, Black Tooth Pond was for me a place of higher learning. In 11th grade, circa 1976, my biology class hoofed it down the old dirt road to the pond and took samples to test for water quality. Later, I furthered my education here with a select number of female specimens of the species. Not long afterward, I returned to the area to conduct experiments with certain chemical substances, the results of which are in some cases hazy. When I first started geocaching, this was one of the spots I seriously considered for placing my first hide, but I never did get around to putting one here. Alas. But let's backtrack a little ways. It was my senior year in high school. I was dating a singularly appealing young woman, whose aplomb with certain physical exercises left me very much in a state of awe. As with most teenagers, one of the biggest hindrances to practicing these exercises was the lack of a setting that offered even a modicum of privacy. As you have astutely deduced, we found such a setting back in the woods by Black Tooth Pond. At that time, my folks owned a 1970 Ford LTD station wagon, and if you grew up anywhere near the same time I did, you'll know that this was the perfect vehicle for conducting highly specialized scientific experiments. One evening right around Halloween, this young female specimen and I drove down the treacherous dirt road into the woods around Black Tooth Pond and proceeded to practice some of the exercises mentioned above. Well, we had settled ourselves in the back of the station wagon and were just getting ourselves prepped to exercise when we heard the distinctive sounds of footsteps in the woods, not very far away. Being a little nervous about doing scientific research on what might be someone else's property, I opted to withdraw from the position I'd gotten myself into, open the back window, and thoroughly evaluate the situation. I suppose it's lucky I did. There, about fifty yards away, starkly silhouetted against the purple twilight sky, was the distinct figure of a man traipsing toward the car, a rifle or shotgun clearly at the ready. Then it happened: Ba-BOOM! Pothole! Big, big pothole! The rear tires left the ground more than once, and as the car bounced violently, I saw in the rear-view mirror something metallic go flying into the air. The license plate. My parents' license plate. Even in my panic, I had the presence of mind to realize that that was one damning piece of evidence. Then and there, I had to make a decision: face a potentially homicidal maniac with a gun or my dad's wrath. Obviously, there was nothing for it but to stop and retrieve the wayward item. I reluctantly slammed the car to a stop, praying I hadn't busted any axles, leaped out the door, and ran back to find the license plate. There it was, lying in a pool of mud. I grabbed it up, paused long enough to take stock of the situation, and — much to my horror — heard footsteps in the woods, making a beeline toward me. Running toward me. Damn. Back into the car, and off we went again, and... somehow... before I knew it, I was out of the woods and back on the road that led to the high school. From there, I'm certain I broke every traffic law in existence returning the subject of that experiment to the safety of her home; privacy be damned. Before heading back home, I was able to re-attach the license plate (after much scrubbing of mud), and it's only by the grace of God that I hadn't completely screwed the car's alignment. Indeed, they made those cars durable in those days. I can only imagine trying to undertake such a panicked escape in my current Buick Century. I'd be leaving pieces of that car strewn all over Martinsville and Henry County, and maybe beyond. So, one scientific experiment a massive failure. Despite it all, I still have a great fondness for Black Tooth Pond. However terrified I might have been at the time, it didn't stop me from conducting further experiments in those woods, all of which certainly contributed to my well-rounded education. One evening in the late 1960s, in the small town of Martinsville, Virginia, Mr. and Mrs. Carl Rainey took an evening out for dinner and bridge, as was their occasional habit, leaving my little brother and me in the care of a teenage babysitter (a fine young gentleman named Mike Combs; in later years it would be his sister Sherry, with whom I would fall madly in love…but that’s another story). On this particular night, it just so happened that Godzilla, King of the Monsters was playing on TV, and Mike could not have been a better choice of sitter for us because he was something of a dinosaur and daikaiju enthusiast. By age eight, I had already seen Godzilla three or four times, Gigantis at least twice, and Godzilla vs. the Thing once; I had already hit a few mileposts on the road to becoming a diehard. Mike, on the other hand, though a monster movie buff, was still a layman, and like most, looked to me to provide background information that would help him understand the movie. Now, before you throw up your hands, I have to tell you…yes, I had been baiting him, for I knew that Perry Mason was a fictional character portrayed by Raymond Burr. Sadly, by not correcting my intentional gaffe, Mike proved himself unworthy of being called a true Godzilla fan. 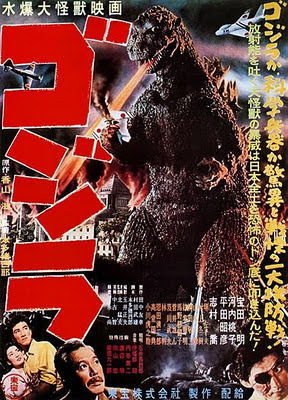 Still, I had to admit he offered lots of spirited advice to the fleeing citizens of Tokyo (“Run to the side, you idiots, not straight in front of him!”), and anyone who could get so worked up over a Godzilla movie was okay in my book. The movie ended at eight o’ clock, and a critical discussion immediately ensued. In the middle of all this, I thought I heard a roll of thunder. What a cool coincidence; on the screen, Godzilla had first shown up during a raging storm. But then the light fixture began to sway, and the windowpanes behind the couch took to rattling. This was no ordinary thunder! By now, Mike’s eyes looked a lot like painted marbles popping out of his skull, and my little brother, who had the audacity to sleep through the movie, began to plaintively scream and holler. After about thirty seconds, the rumbling stopped. But Mike and I were charged up. We spent the rest of the evening peering out windows, surveying the neighborhood from the front porch, even braving the spooky stairs to the attic because the upper windows afforded a panoramic view (even if it was pitch dark outside). I bitterly rued the fact that, at the time, I didn’t own a tape recorder so I could leave behind some kind of verbal record for Mr. George Lawrence, United World News, Chicago, USA, should the worst happen. Only when my parents came home around ten o’ clock did I learn that Martinsville, Virginia, had experienced its first sizable earth tremor in over 150 years. Now, to most, an earthquake might have been a stimulating spot of news; to me, however, it was anticlimax exemplified because, for a little while there, I had completely repented of my heretical hypothesis that Godzilla’s eyes might be made of plastic. As far as I was concerned, his eyes—as well as all the rest of him—were far more real than plate tectonics. That incident might not have been the beginning of my love affair with Godzilla, but it was certainly the one to most impress an impressionable young lad. (Some will say I’ve hardly changed; that again is another story.) To this day, the booming footsteps and roars at the beginning of Godzilla inspire a twinge of excitement unlike any other. If I hear Raymond Burr’s voice in some other show or movie—be it Perry Mason, Ironside, Rear Window, you name it—lines from the original Godzilla inevitably flood my memory. Of all the tape-recorded monster movie soundtracks I memorized word-for-word during my teens (I bet some of you reading this did the same thing), the English-language soundtrack to Godzilla, King of the Monsters is easily the one I recall best. I imagine I was around ten years old when the fact that I had always seen an “Americanized” version of Godzilla truly began to dawn on me. And at that moment, the original 1954 Japanese version hit number one on the “must-see-before-I-croak” list. On subsequent viewings of Godzilla, I scrutinized every frame of film, assiduously looking for telltale signs of tampering with the original material. Suddenly, my eyes were opened. Holy cows—that wasn’t Dr. Yamane, but a look-alike, and not a particularly convincing one. And looky here! “Emiko,” whose back seemed to be her most prominent side, was dressed a tad differently from camera angle to camera angle. How could I have ever missed such blatant cinematic blunders? Anyway…I spent a good portion of my adolescence convinced that American audiences had been robbed, and that the perpetrators deserved to be punished with extreme prejudice—sans the benefit of a Perry Mason defense. Without having seen a frame of the original, unadulterated Japanese movie, I became one of the most vociferous detractors of the American version in the western hemisphere. And finally…almost twenty years after the earthquake that loosed Godzilla upon Martinsville, Virginia…I got my chance to cross number one off the must-see list. Mid-1980s, Chicago, USA. A few years earlier, I had moved to the Windy City so that I might reside near Japanese Giants co-editors Ed Godziszewski and Bill Gudmundson (not to mention the main office of United World News). As some of you may recall, the technological toy of the day was the laser disc player. Ed had one; I had one; and one day, we struck gold. Ed obtained a catalog where we could order original Japanese laser discs. In those novel days, region coding was still an unrealized bit of idiocy; and through Ed’s ingenuity, we obtained an English script of the movie. 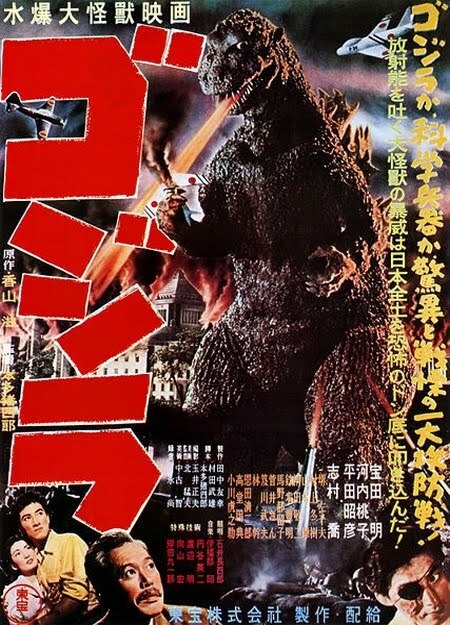 I don’t think the excitement of an earthquake surpassed the excitement of sitting down in Ed’s living room to watch the 1954 Godzilla, complete with a typed English translation (which was admittedly a little more inconvenient than reading subtitles). But moly hoses. A gorgeous print on a flawless LD system…it just didn’t get much better. Ed pushed the start button. My initial impression was that the movie moved faster than what I was accustomed to (the opening scenes of Tokyo’s devastation in the American version notwithstanding). The absence of Raymond Burr and his somber narration, which extended each individual scene, seemed almost disconcerting. Perhaps the most jarring aspect in the first half hour of the movie was that, on Odo Island, Steve Martin and Tomo did not go out among the natives. However, a new fire exuded from the Japanese cast; especially during the conference at the Diet Building, where Dr. Yamane dramatically testified that Strontium-90 had been discovered in Godzilla’s wake. Dr. Serizawa had more screen time—meaningful screen time. The triangle between him, Emiko, and Ogata took on an entirely new poignancy. Godzilla’s rampage, shown as it would have actually progressed through the streets of Tokyo, seemed somehow grimmer. And Serizawa’s final sacrifice, shown in its deeper context, hit home with far more power. After Godzilla was over, I knew I had seen, not just a different version of the movie, but a different movie altogether. Certainly a better movie. A movie whose heart and soul did not revolve around the monster, but around its characters. For years, I had considered Godzilla, King of the Monsters and King Kong of roughly equal stature in the grand scheme of monster movies. No longer. Godzilla had left old Kong in the dust. For many years afterward, I would occasionally watch Godzilla—even without the script, for I had come to know it inside and out; perhaps not as intimately as the American version, but certainly well enough to recall key dialogue. And Godzilla…well, he spoke a language in which I was already fluent. The environment at G-Fest could not have been more conducive to a meaningful viewing of the original classic. Here I was, sitting next to my old friends Ed and Bill—and new one, Robert Scott Field; the screen lit up, and the booming footsteps and roars began. Just as expected. But something was different. I had seen this version of this movie countless times, and yet I felt as if I were about to witness something wholly new and remarkable. And so I was. The big screen; the fact that there were no obnoxious kiddies to distract one’s attention; the absolute silence during the long, solemn passages where the characters absorbed and reflected on the events as they happened…these things came together to create nothing less than a transcendent experience. As the girls’ choir sang their prayer following Godzilla’s stroll through Tokyo, I actually discovered my eyes burning. Never in my 42 years had I been moved to tears during a monster movie. Especially not one I had seen an average of twice a year for well over a decade. There are times nowadays, when I think it would be mighty sweet if, one day, while watching my favorite movie in the world, the earth started shaking…and this time it wasn’t just an earthquake. And his eyes would not be made of plastic. How nice to have a good old friend, Dr. Beth Walton (a.k.a. UNCGBogTurtle) return to Greensboro from Illinois to visit for several days. Got with the doc and Ms. Debbie "Cupdaisy" Shoffner for an afternoon/evening of caching over in Burlington. 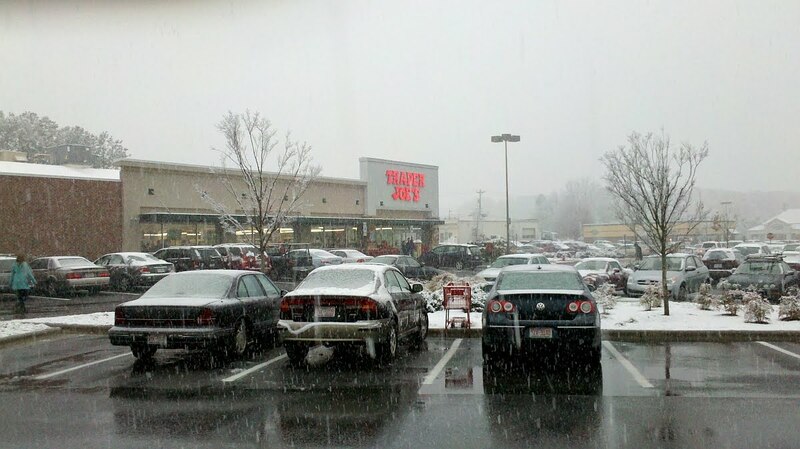 About the time we left, snow started coming down, and the temperature started dropping. Made for a very cold but very enjoyable caching trip. Found a bunch, didn't find a couple. But perhaps the highlight was discovering an excellent little Mexican restaurant called La Cocina, where they serve Margaritas in boats the size of the Titanic and hit you with two varieties of spicy tomatillo salsa. Yay! The spinach enchilada and cheese-stuffed poblano pepper kinda rocked as well. The snow didn't really stick, but playing in it was fun nonetheless. Thanks to a certain publisher's interest in my novel, The Monarchs, which I originally wrote in 2007, I have my schedule pretty much laid out for the next couple of weeks. From looking over the manuscript, I've come to the conclusion that this book requires revisiting and a spot of revising. Nothing terribly major, but I do want it to be the best it can be before I dump it on any unsuspecting readers. Fortunately, my Christmas preparations are pretty much in the bag, so I should be relatively unencumbered while I'm working on it. Perhaps above all else, the title worries me. Given the novel's theme, it's apt, but...is it a grabber? I originally called it The Monarchs of Fearing (the name of the town where it's set), but in any case, the first thing that comes to mind is a kaleidoscope of butterflies, and as best I can remember, there's not so much as a mention of butterflies in the text. Perhaps there should be. Anyhoo, I'll be mulling over alternative titles as I go. Now, X those appendages, y'all, while I take care of these little bugs. Except me. And — based on the road rage that was spreading like wildfire over the course of an hour — pretty much every driver passing through Gibsonville this morning, at least those who weren't there for the express purpose of seeing the Christmas parade. The local brain trust closed the main route through town (which is the only route through town, unless you know some magical shortcuts), without providing any advance notice or laying out a marked detour, which created one of the worst tangles of traffic I've seen since I got stuck for six hours when they closed Lakeshore Drive in Chicago for the Fourth of July fireworks in 1994. I'd been caching near Elon College and I'm now heading home. Traffic is getting heavier and heavier, and soon, it slows to a crawl. Then it just plain stops. Thirty minutes later, once it starts moving again...at a snail's pace...I realize we're behind a dozen little bastards riding go-carts up the road. Next, here come some tractors pulling floats, which the cops allow to get into the traffic stream. Oh, joy. They're queuing for Gibsonville's Christmas parade, and I have managed to get stuck right in the middle of it. Surely...surely...there's a detour around this thing. I mean, they do plan these parades in advance, right? Nah. There are just a few cops directing traffic — poorly — and as I watch, they become slowly overwhelmed by all the cars converging from several roads, all trying to find a way through. A couple of officers throw up their hands in utter frustration, as — apparently — they didn't expect CLOSING THE ONLY GODDAMN MAIN ROAD THROUGH TOWN, without a marked alternative route, to foul up the works. Fortunately, after just over an hour of this mess, I was able to find a couple of side roads on my GPS map that took me five miles out of the way but at least out of town — and I only had to break a couple of traffic laws to do it. Talk about poor planning on the town's part. No, wait. Non-existent planning. Way to generate some Christmas cheer, morons. Prior to the parade, while hunting for a geocache deep in an underground pipeline, I discovered a cache of black widows. 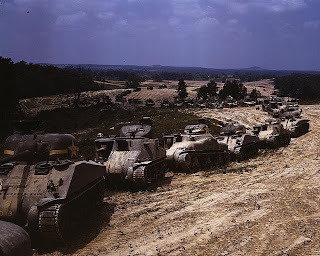 You'd think they'd all be dead about now, but no. 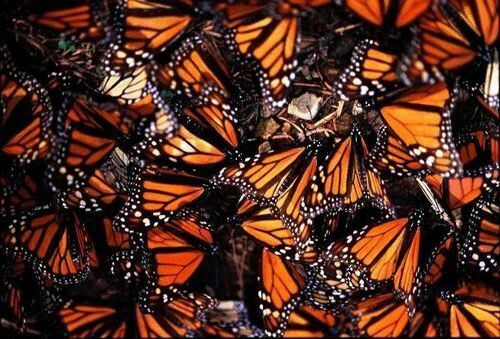 Dozens of 'em, all clustered in a roughly 5' x 5' underground chamber. It was fairly shuddersome, but given the choice between the Gibsonville parade and the black widows, I'd take the friggin' spiders. 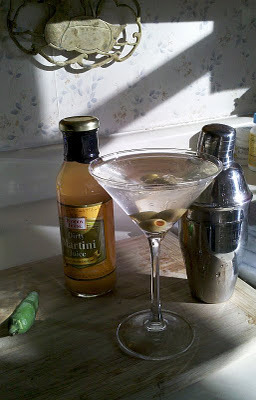 Apart from the occasional glass of wine, a fiery hot dirty martini is about the only thing I imbibe anymore. It's killer good, so here's my recipe; short, simple, and not even a little bit sweet. Cut hot pepper in half. Drop the halves into a shaker filled with crushed ice; then pour in your vodka or gin, vermouth, and olive brine. Shake vigorously for about a minute. Strain into a chilled martini glass and drop in your olives. For an extra kick, spoon out the hot pepper sections and add them to the glass as well. Warning: As with any Damned Rodan recipe, Spontaneous Human Combustion may result from even careful and conscientious consumption. Do not smoke cigarettes or imbibe this product near any open flame, inflammable materials, children, most animals (including hedgehogs, pygmy goats, and llamas), and overly sensitive individuals. Do drink responsibly. About every month or so, it's necessary to make the pilgrimage over to Chapel Hill...no, I'm not particularly a Tarheel fan (sorry, Chapman)...but there are a few places there that anyone in — or even out of — his right mind simply has to go, such as The Spotted Dog (actually in Carrboro) for good chow; A Southern Season for incredible drink mixers, hot sauces, and chocolate; and Trader Joe's for good, inexpensive wine and groceries. Not to mention passels of caches...of course. Today was the day. It started out cold and gray, but off my friend Ms. B. and I went, grabbing caches along the way. Midway through lunch at The Spotted Dog, the sky began to spit a little snow, and as we headed out after a couple of more nearby caches, down it came in earnest. On to A Southern Season and Trader Joe's, and by now we had a fair amount of accumulation. A nice way to get a little Christmas spirit going, for sure. But like Lucy van Pelt, I don't go for eating that December snow because it just isn't ripe yet. Fabulous dinner with the Albaneses tonight — Joe's famous pasta from his grandmother's recipe — followed by Burton's Alice in Wonderland. An excellent day all-around, but now I'm another day behind wrestling with my characters in "The War Lords of Leng." But tomorrow's another day and another battle. Maybe...just maybe...tomorrow I will prevail. Which is what happens when a freakin' tooth breaks and you have to get a crown. This one hurts. Don't remember the last one hurting. I guess it's better than having that big old hole leading clear up to my brain. The characters in my latest tale, "The War Lords of Leng," are completely out of hand. Don't know what to do with them. I could just shoot them, I guess, and be done with it. Unfortunately, I don't have a cast of extras waiting in the wings. 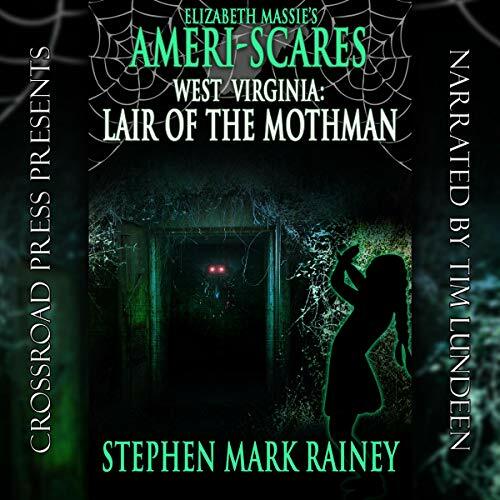 <em>West Virginia: Lair of the Mothman</em> Now an Audio Book!